Curved thing. The display of LG's first smartphone with a curved screen is certainly an eye-catcher, but just this key feature turns out to be the problem. The other features are on one level with the high-end competition: A fast Snapdragon 800, 32 GB storage and an Ultra HD camera as well as the self-healing case create an interesting package nonetheless. LG offers the first curved and flexible smartphone with the G Flex. Unfortunately, we accidentally got a pre-production device, but the final version is already on its way. It is however more of a phablet with a screen size of 6.0 inches. It is the first time that a new technology is used to enable the curved shape. The battery is also curved to fit into the case, but a quick look at the spec reveals a drawback that is really a problem in this price class (RRP 799 Euros; ~$1100): The screen only has a resolution of 1280x720 pixels; Full HD (1920x1080 pixels) would have been appropriate. 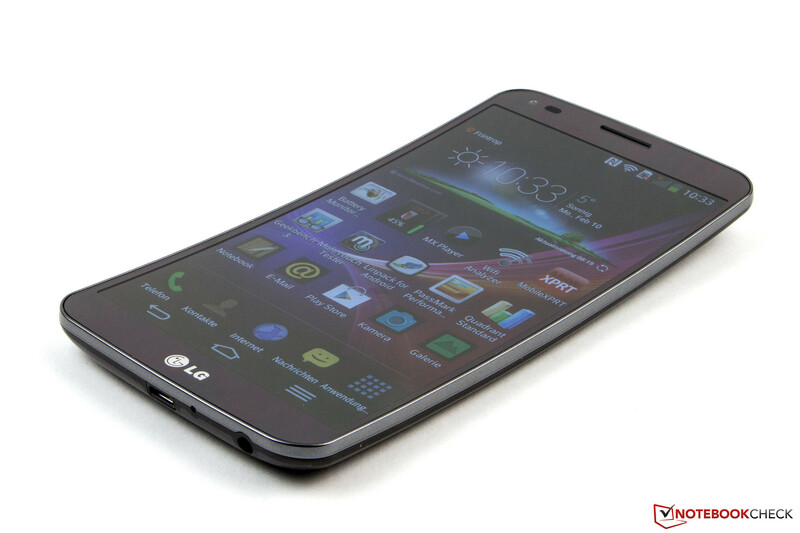 The other specifications can convince and are similar to the sibling LG G2. This includes the fast Qualcomm Snapdragon 800 with 2 GB RAM, 32 GB eMMC flash storage and LTE. The G Flex does not have real competitors at the moment and it is the only choice if you want to have a curved display. The Samsung Galaxy Round is currently only available in South Korea and would be an interesting alternative, even though it is curved around the vertical axis. This leaves the other phablet devices as competitors for our review unit. Nokia's Lumia 1520 (6.0 inches, starting at 589 Euros; ~$810) is the only device with Windows Phone 8, Samsung's Galaxy Note 3 (5.7 inches, starting at 499 Euros; ~$685) and Sony's Xperia Z Ultra (6.4 inches, starting at 410 Euros; ~$565) use Android. 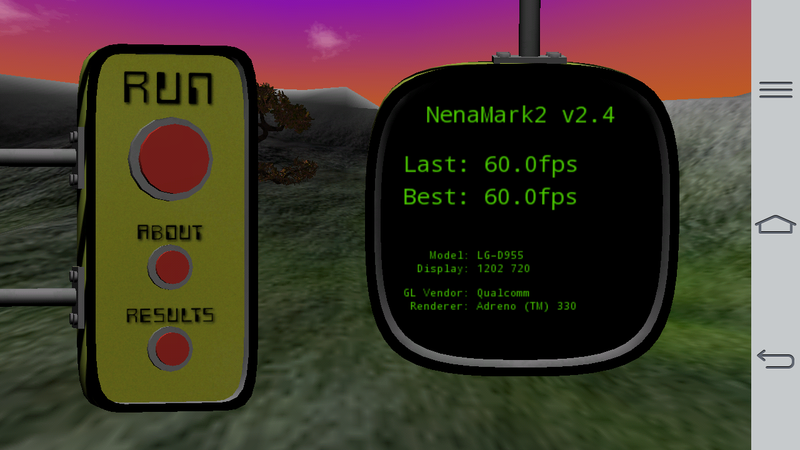 [Update 02/17/2014] We received and tested the new device with a production display. 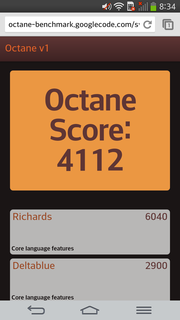 The display section has been updated and we added the rating. The self-healing coating is a unique feature. There is no scratch protection for the display. 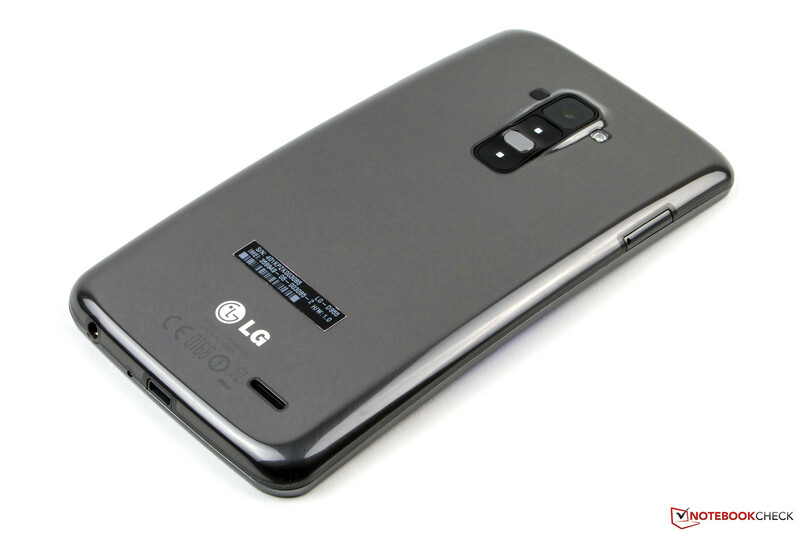 The case of the LG G Flex is comparatively small measuring just 160.5 x 81.6 x 8.7 millimeters (length x width x height; ~6.3 x 3.2 x 0.3 inches) and it is pretty light weighing only 176 grams (~6.2 oz). Nokia's Lumia 1520, for instance, is 34 grams heavier (total ~7.4 oz). 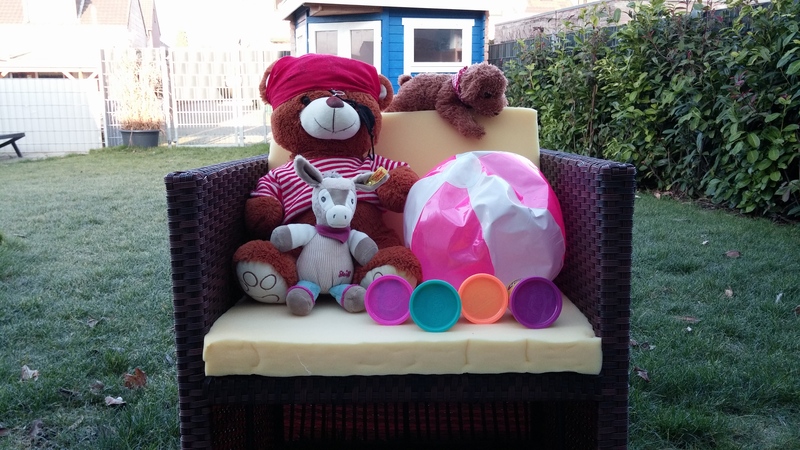 Our review unit is completely made of plastic, but it leaves a high-quality and very sturdy impression nonetheless. It is also the first phablet with a self-healing surface at the back. This polyrotaxane coating is supposed to repair small dents and scratches by itself and keep the surface in a good shape for a long time. This self-healing process should only take between 50 and 90 seconds depending on the ambient temperature. Our practical test took quite a bit longer than that with sometimes more than two hours and you can still see the dent when you hold it against the light, but it is certainly a nice feature. The curved shape of the LG G Flex is especially convenient when you want to carry the device in your back pocket. Due to the shape, it won't break if you do not put more than 100 kg (~220 pounds) weight on it. This works pretty well in practice and even longer sitting is no problem depending on the position of the pocket. The phablet is also very flexible. You can push both sides down when you put it on a flat surface and it will get back into its shape when you release the pressure. You can hear creaking noises during this process, but it does not leave a fragile impression. 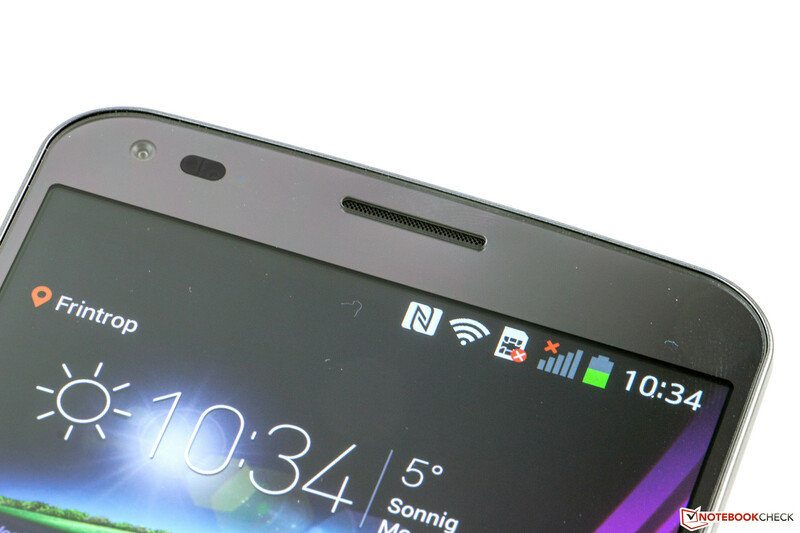 The LG G Flex is otherwise very pressure resistant as well; stronger force on the thin display bezel is no problem. We cannot even see an impact on the screen. Concern that the phablet will wobble when lying on its back is unjustified. The ridges that prevent accidentally hitting the power button keep the device well in position. 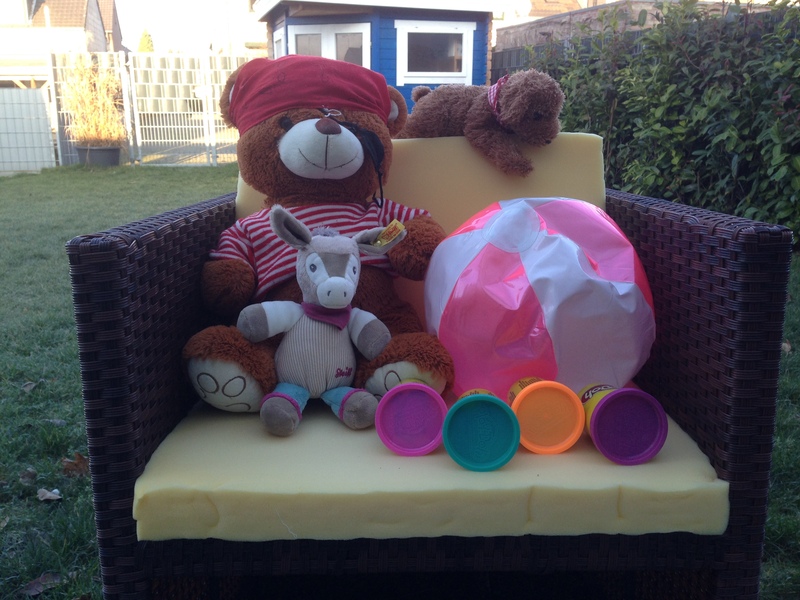 Gaps are very precise and the overall build quality is on a very good level. It is unfortunate that the Flex does not have a very scratchproof display. The battery is non-removable. 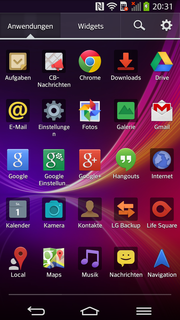 The connectivity of the LG G Flex does not really differ from the majority of smartphones. You get a combined headphone and microphone jack as well as a USB port. The latter does support the 3.0 standard and enables a faster charging of the phablet and a quicker data transfer. The port also supports OTG, which means you can attach an external USB storage or a mouse. The Flex supports the Miracast standard for the wireless picture transmission. 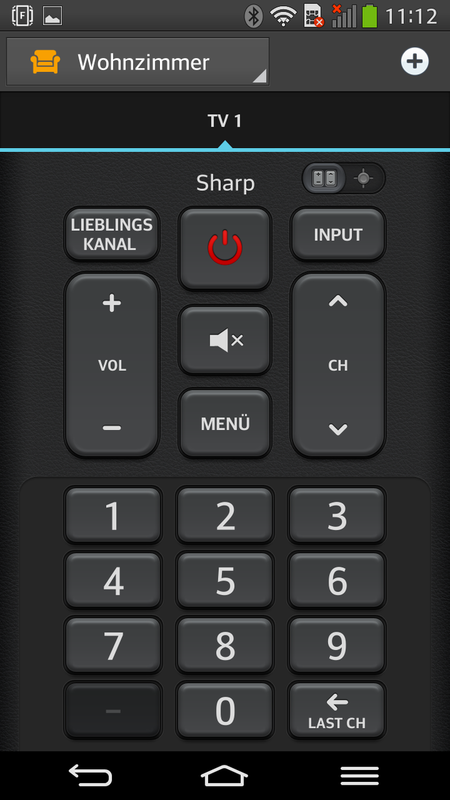 There is also an Infrared port that can replace a simple remote of TVs, Blu-ray players, AV receivers and other entertainment electronics via the Quick Remote app. We only miss a card reader to expand the storage, especially since the phablet is equipped with an Ultra HD camera that creates large amounts of data. A curved smartphone is unique in Europe so far. 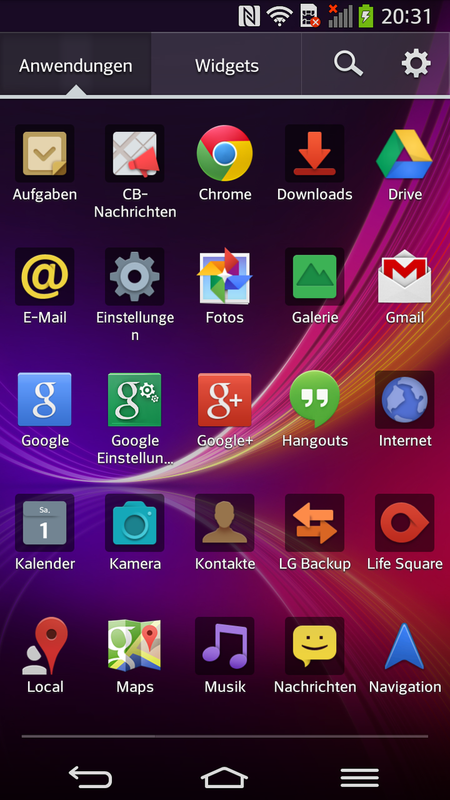 The operating system of the LG G Flex is Google's Android 4.2.2 with the Fluid UI launcher from LG. The user interface of our review unit is much more subtle and less colorful compared to other devices from the South Korean manufacturer. 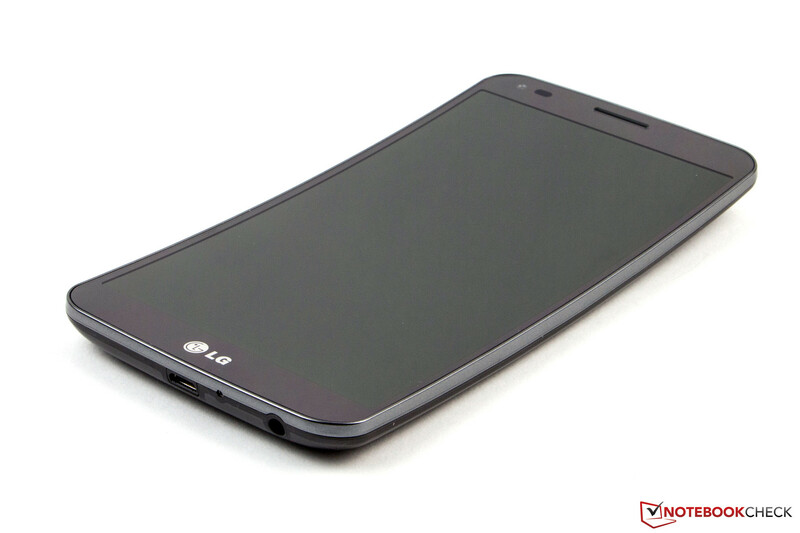 The visual adjustments are complemented by some features that we already know from the LG G2. 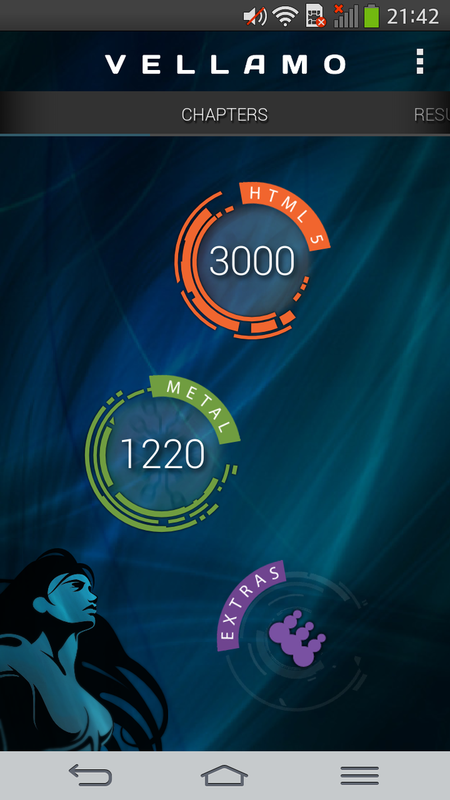 QTheater gives the user direct access to media contents. You just have to pull the lock screen apart with your thumbs, similar to opening a curtain. 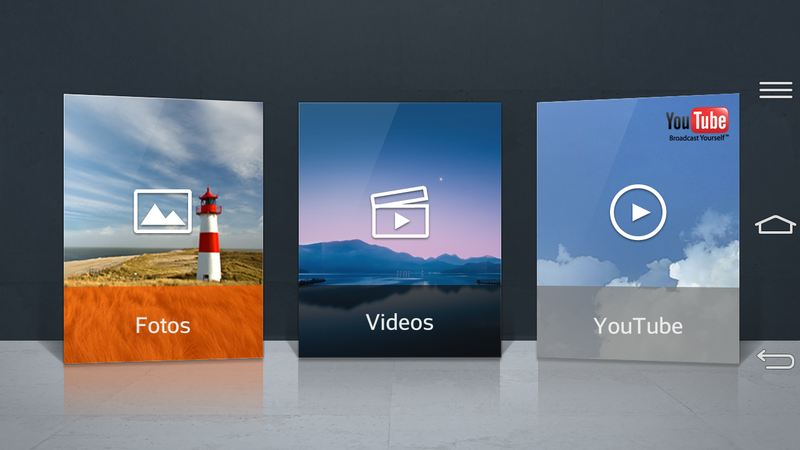 The gesture is very easy and grants direct access to your own pictures, videos as well as YouTube. The app Quick Remote can be used to control entertainment devices and air conditioners with the integrated Infrared transmitter. 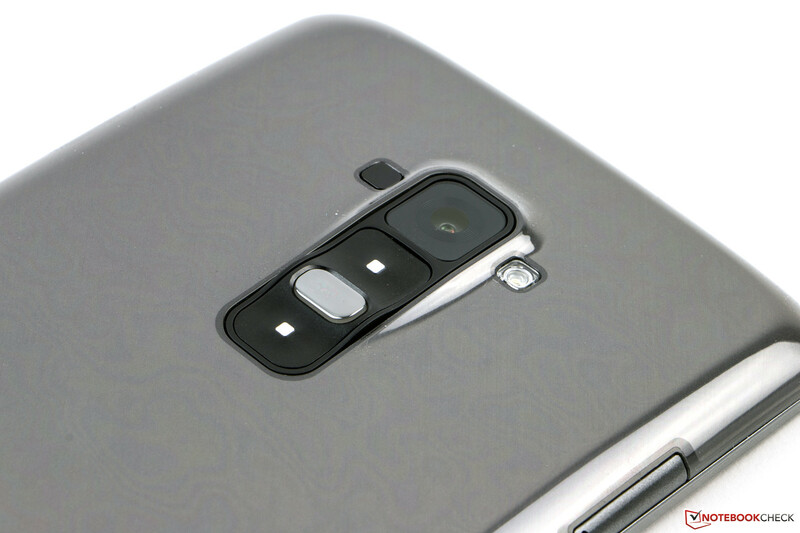 It is next to the camera lens on the back of the smartphone. Numerous devices are supported and it works well in practice. Only fast consecutive inputs are transmitted with a slight delay. 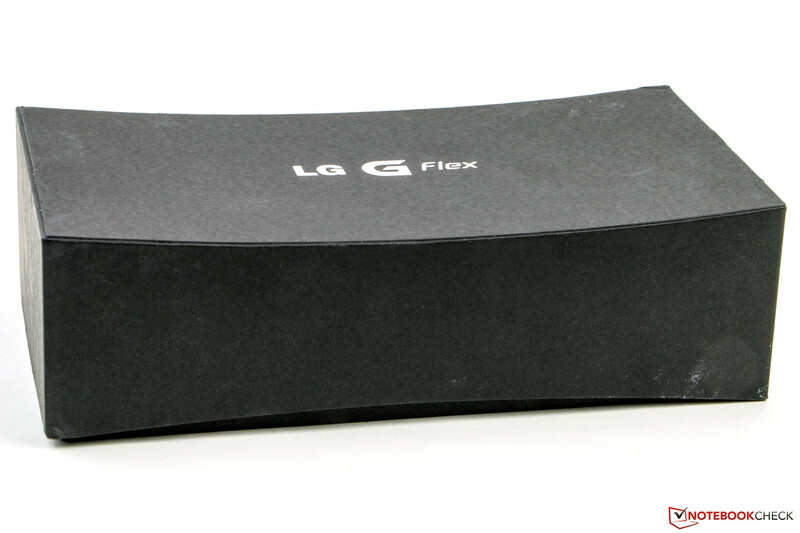 The Flex G is still a good alternative to All-in-One remote controls. 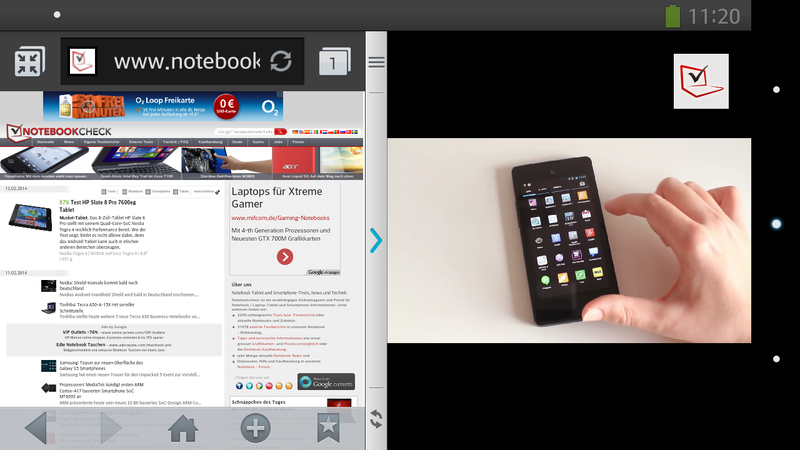 Another feature of the phablet is real multitasking, which is called Dual Window by LG. It is therefore possible to watch a video to an article on the web or run other apps at the same time. 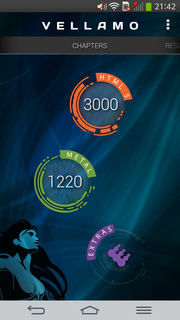 The display is split into two parts and the size of the individual apps can be adjusted according to your needs. The WLAN module of the LG G Flex uses the latest technology and supports the IEEE 802.11 standards a/b/g/n/ac in 2.4 and 5 GHz networks. 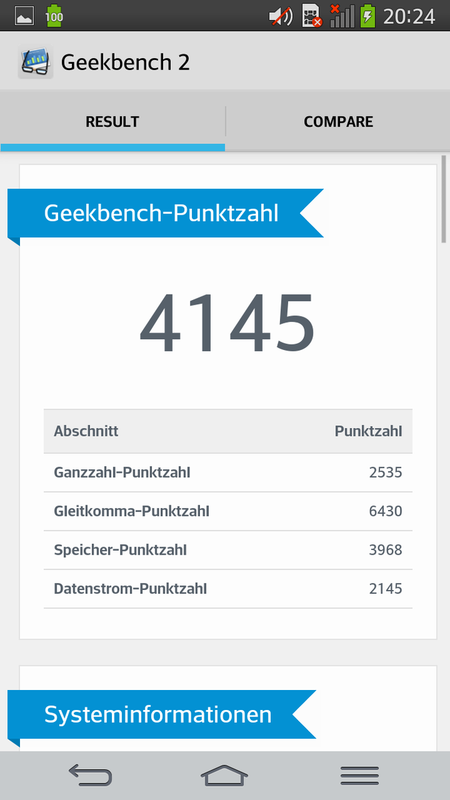 We checked the signal quality to the router (Fritz!Box 6360) with the app Wifi Analyzer. 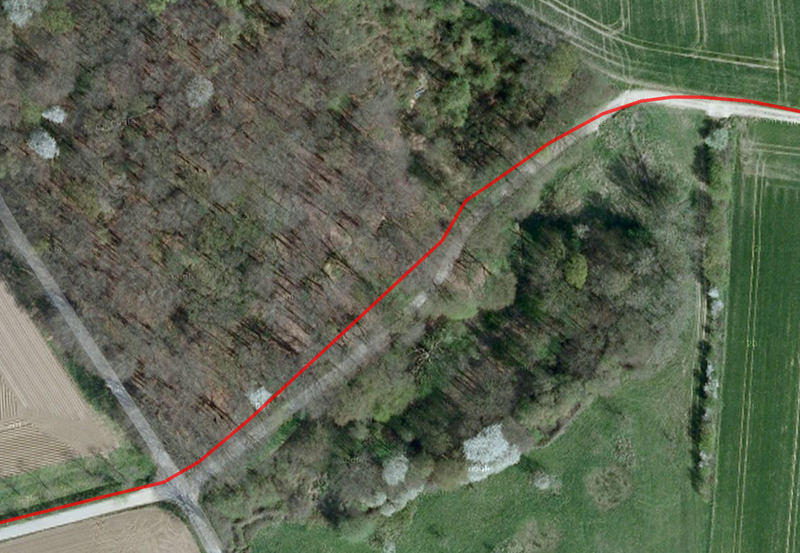 We still had a signal with a distance of around 20 meters (~66 feet), but the quality was not good measuring around 69 dBm. 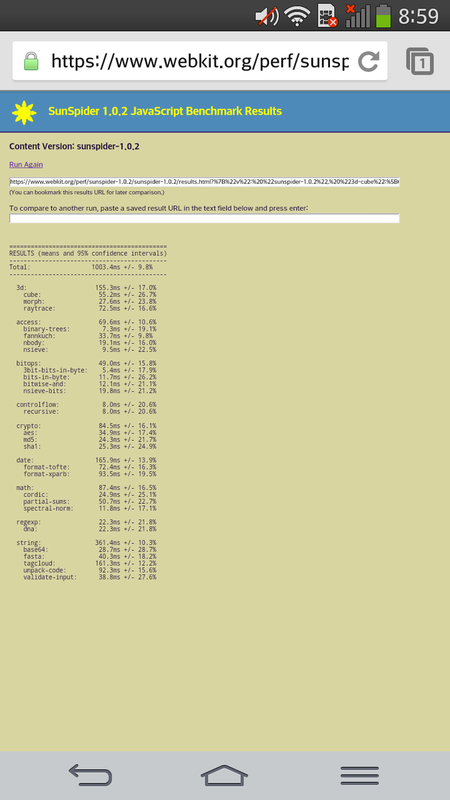 Browsing the web was still possible with a decent performance. 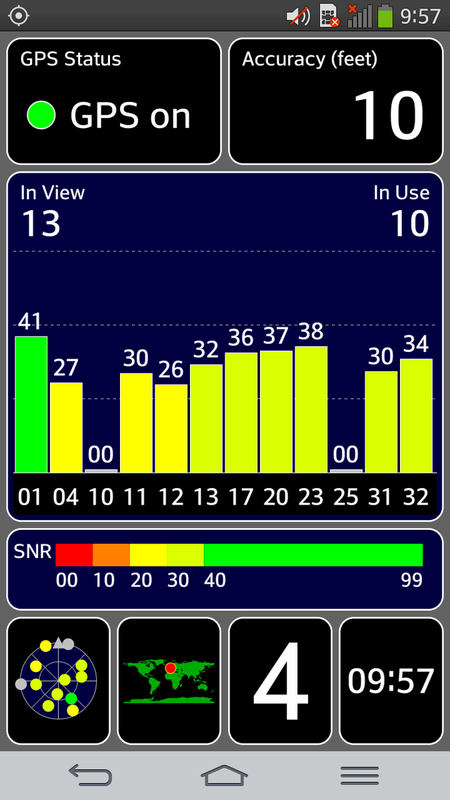 The signal quality improves to 45 dBm in direct proximity to the router. The range can certainly be increased with a more powerful WLAN source, but it is already on a decent level. The Flex can use all the common standards for Internet on the road. 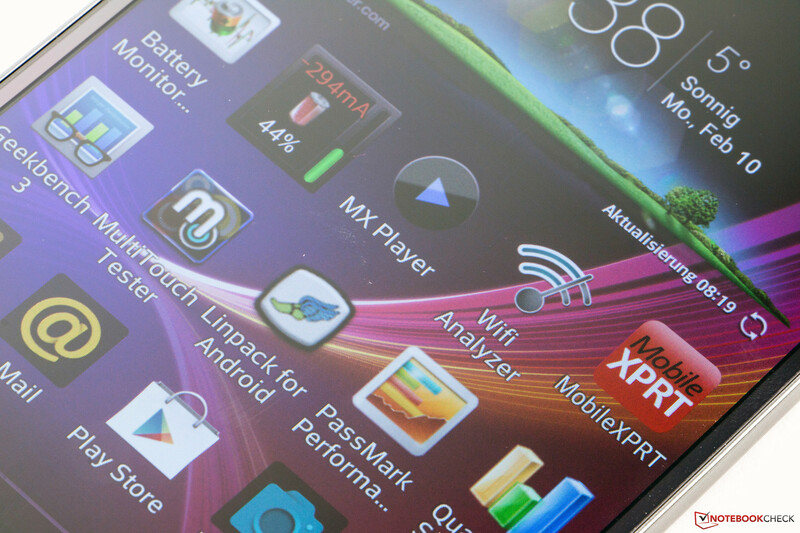 Besides quad-band GSM, the phablet also supports HSPA+ and LTE-Advanced. However, the fast data standards do not cover a very wide variety of frequencies, so that the coverage in more rural regions could be limited. Bluetooth 4.0 and NFC are also available. 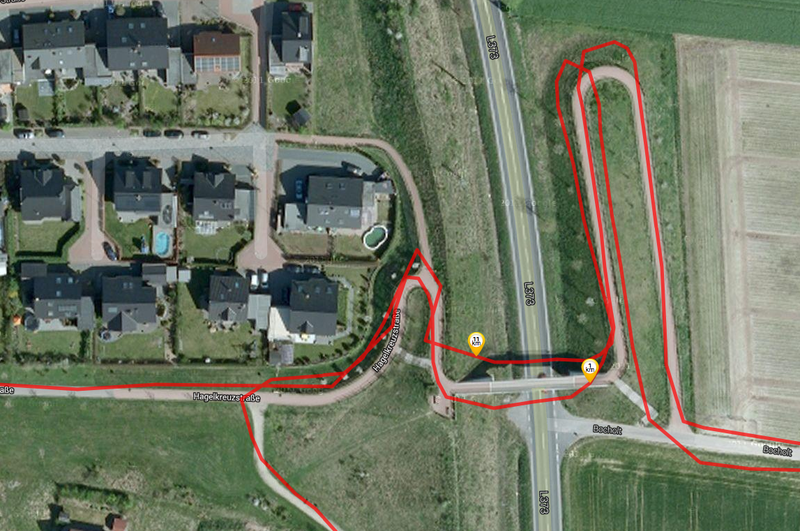 The GPS module of the LG G Flex locates our position fast and with a surprisingly high signal quality. 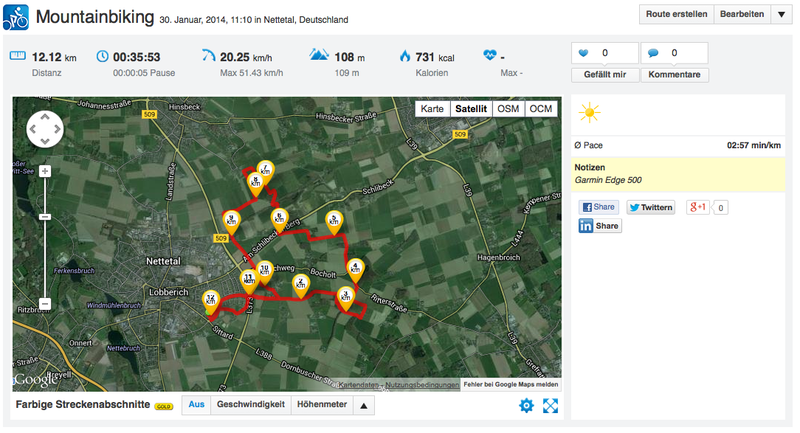 It can, unfortunately, not quite keep up the good first impression when we compare it with a Garmin Edge 500. 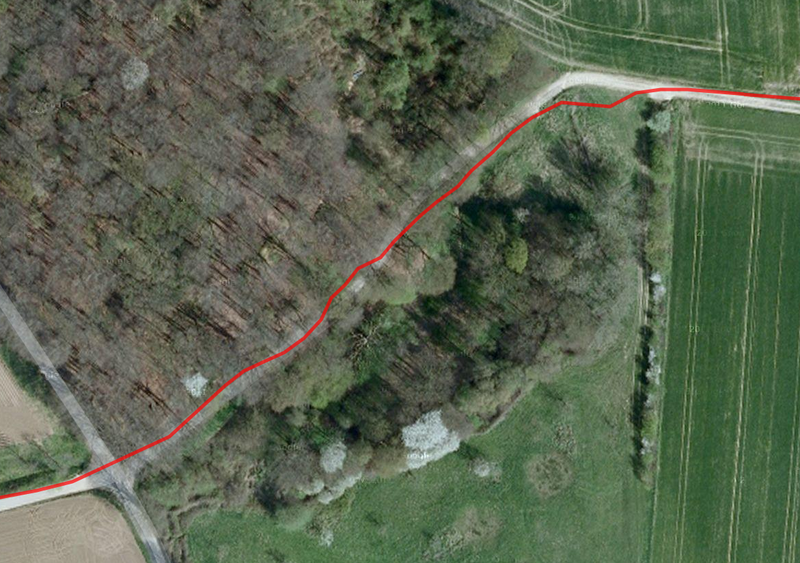 The accuracy is very good in the forest section, but the result in the area with the bridge and narrow paths is not really convincing. The overall performance of the Flex is still decent. The telephone app is well structured and only got a slight visual overhaul. A one-handed operation for the number field is optional; it slightly reduces the size of the input surface and you can move the input to the left or right side. Another handy feature is the automated call acceptance when you hold the device next to your ear, and it works perfectly. The voice quality is a mixed bag. Both we and the other person were easy to understand when we held the LG G Flex against our cheek. The only problem is the additional microphone to suppress ambient noise, because it did not really work. The curved shape of the smartphone is supposed to enable a very good voice quality. 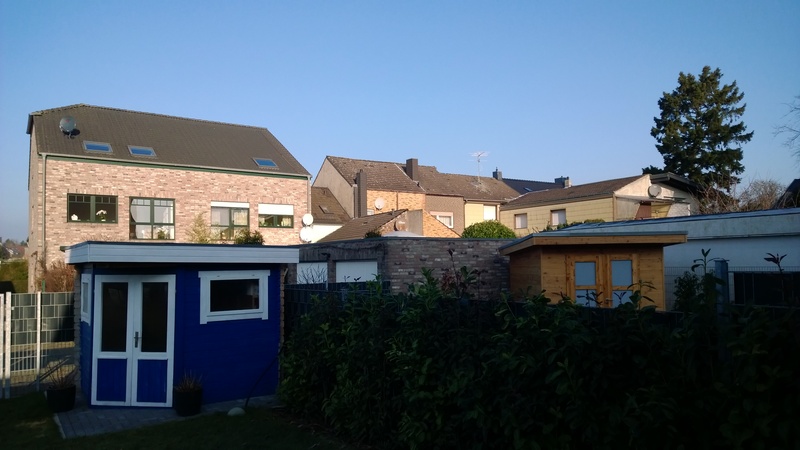 The comparison with other devices like the Nokia Lumia 1520 shows that the LG is not better, but it is at least on a similar level. That changes when you use the speaker. The recipient is only audible with an average volume setting. The voice distorts and sounds tinny with higher volumes and the same applied to our voice, because there were dropouts over and over again in combination with a permanent background noise. It was a bit better with the provided headset, but there were smaller dropouts as well. The LG G Flex has two cameras. 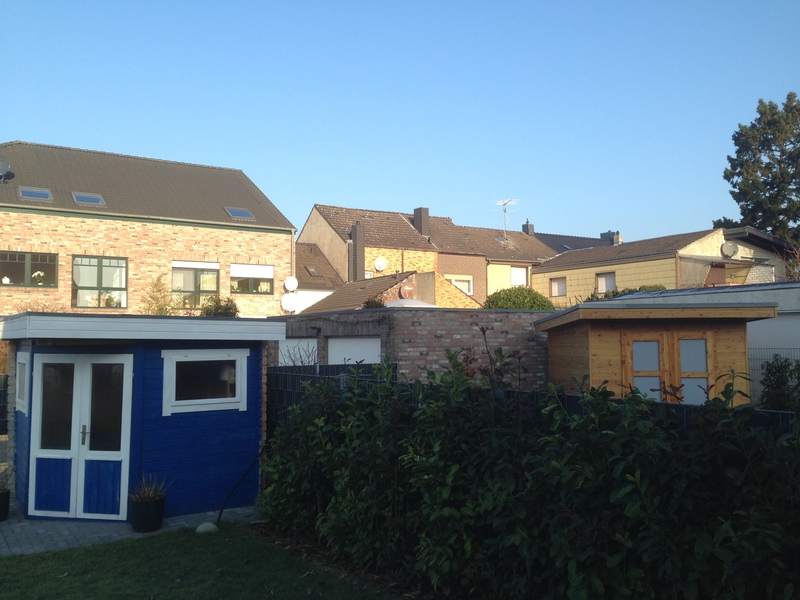 The webcam on the front has a 2.1 MP sensor (1920x1080 pixels), but the results are not very convincing. It is however very good in low-light situations and highly recommendable for video chats. The main camera takes pictures with up to 13 MP (4160x2340 pixels, 16:9, f/2.4) and can even record videos in Ultra HD (UHD, 3840x2160). It also has a 9-point auto focus as well as an LED flash. 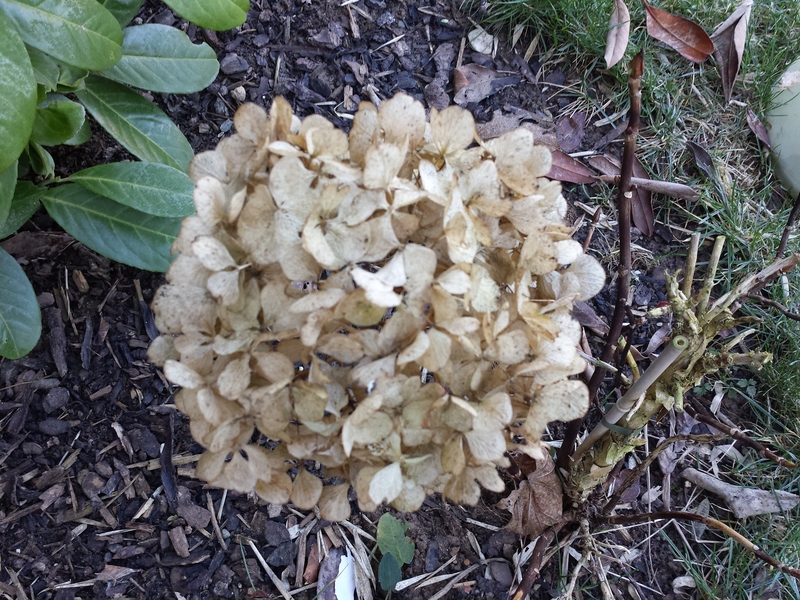 The results are decent with good lighting conditions and comparable to smaller compact cameras. Despite the low-light ambitions of the Flex, those pictures cannot really convince us. They are pretty well illuminated, but you get significant picture noise in return and even the flash cannot improve the situation. 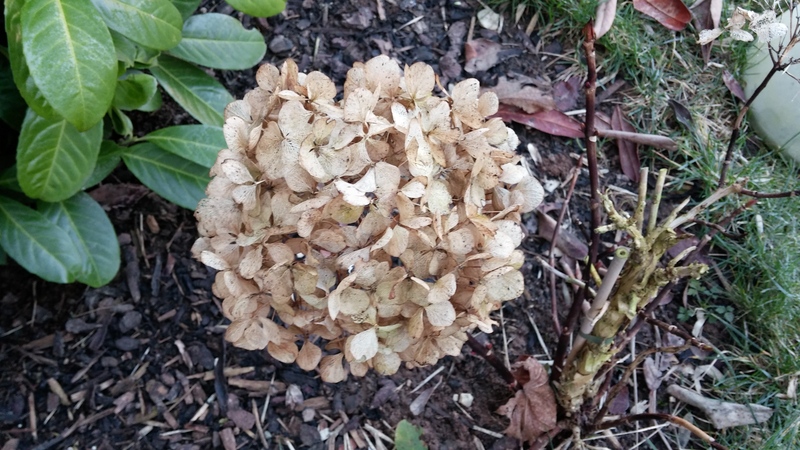 The camera has a lot of picture modes and the HDR feature is supposed to be improved, but the results do not support that. 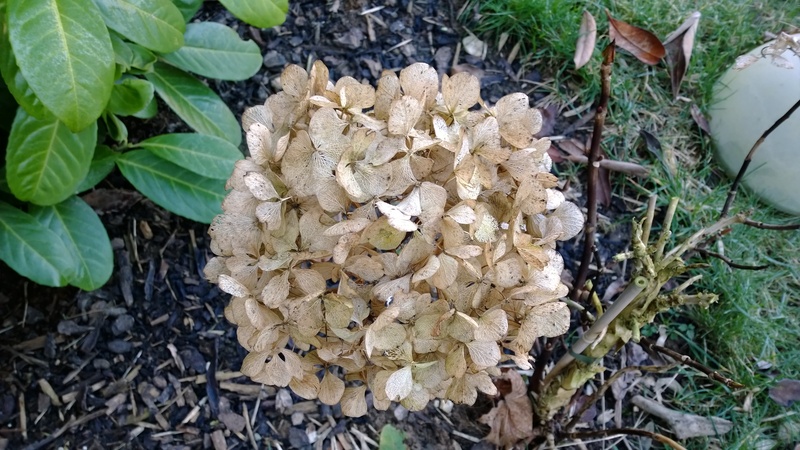 Nokia's Lumia 1520 and 1020 are just much better in regard to the camera quality, but LG's phablet still produces decent results in comparison with the Android competition. 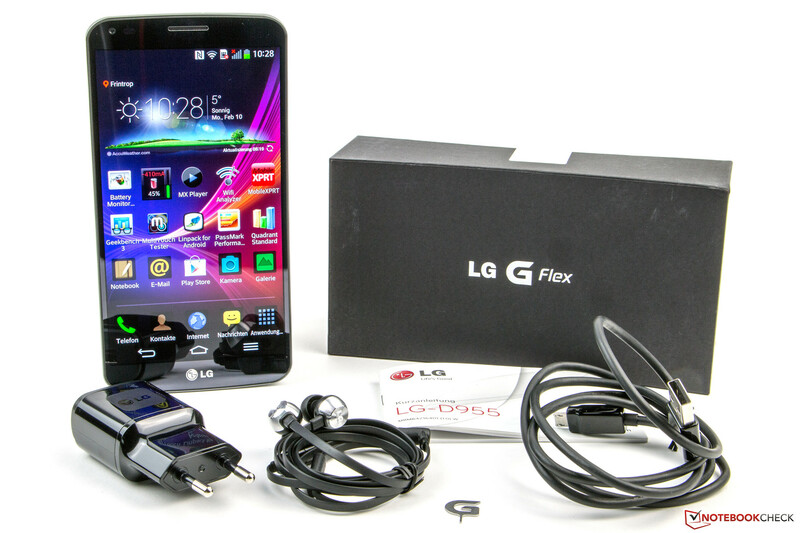 The box of the LG G Flex contains a USB cable that can be used for data transfer with a PC and charging the phablet. The modular power supply unit provides 9 Watts (5.0 Volts, 1.8 Amps). 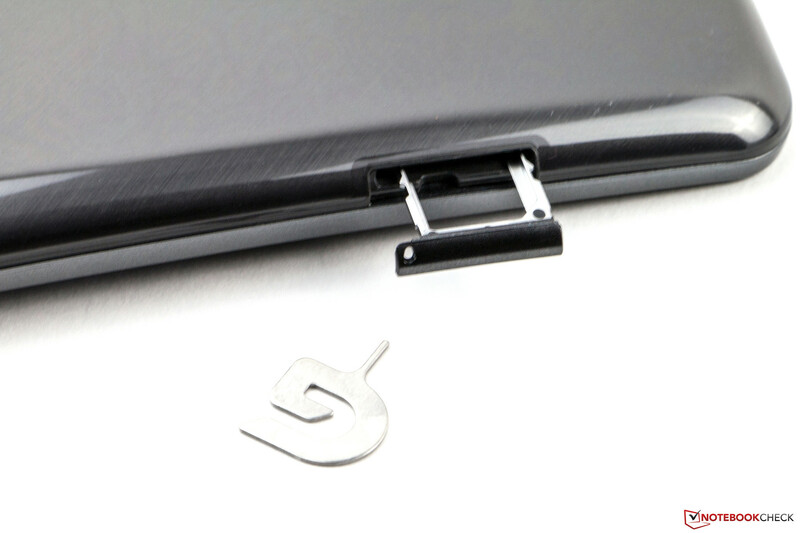 You also get a small tool to open the SIM tray as well as a quick start guide and a headset. LG only offers two specific cases as optional accessories, but they are not yet available. Standard accessories like external batteries (6,000 mAh, starting at 30 Euros; ~$40) or portable photo printers (starting at 99 Euros; ~$135) are however also compatible with our review unit. LG only grants a warranty of 24 months for its product, but the battery is only covered for six months. There are no optional warranty extensions. The capacitive touchscreen of the LG G Flex can recognize up to ten inputs simultaneously and executes them quickly and precisely. This also applies to the peripheral zones. Gliding capabilities of the display surface are also very good and you cannot feel any bumps with the fingers. The manufacturer waives sensor buttons and displays the controls of the Android operating system as an additional row on the screen, which reduces the available screen estate. You can however change the settings for each app and hide the controls. 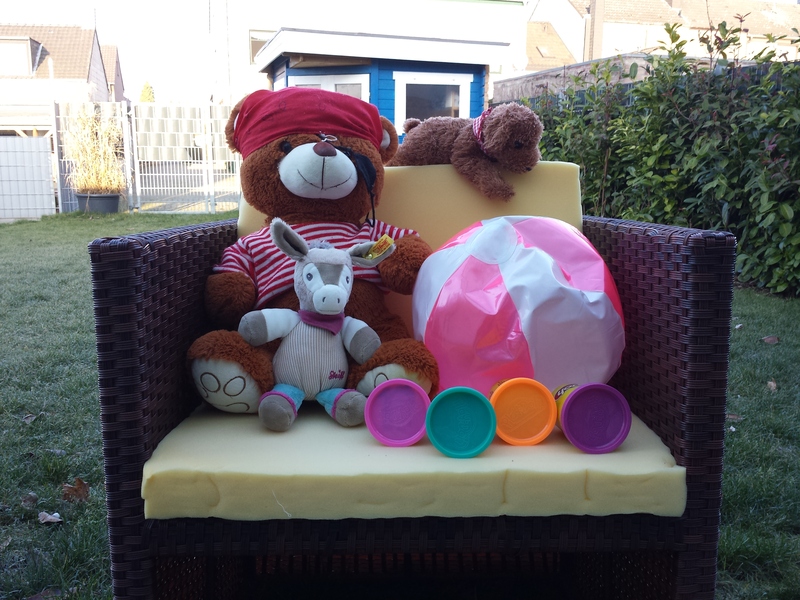 Other familiar features improve the comfort. The display will not be turned off as long as you look at the screen and videos pause when you look elsewhere. Unfortunately, there are also some smaller bugs. The automatic brightness control has to be activated after every restart. The screen brightness was also set to 100 percent after the device was turned off and the display timeout was set to 30 seconds. 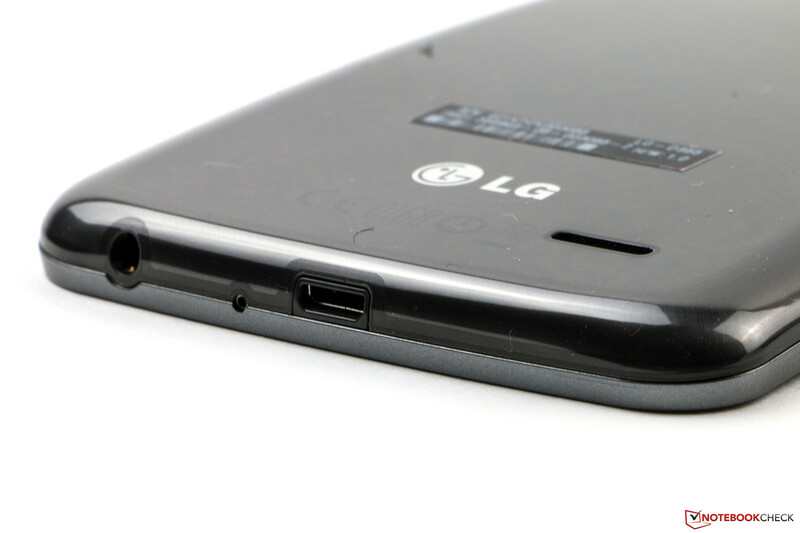 Similar to the LG G2, the power button and the volume controls are on the back of the phablet. The position certainly takes some time getting used to, but it worked well after a while. You can also activate the device with a double tap on the screen surface if you like to. The two volume buttons can also launch apps if you hold them down. The virtual keyboard is sophisticated and inputs are already comfortable in portrait mode due to the screen size. The situation is even better in landscape mode because of the larger keys, but you can only see around 50 percent of the screen content. A lot of space in portrait mode. 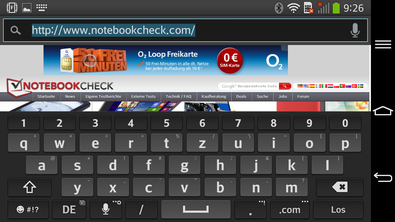 The typing experience is the best in landscape mode. 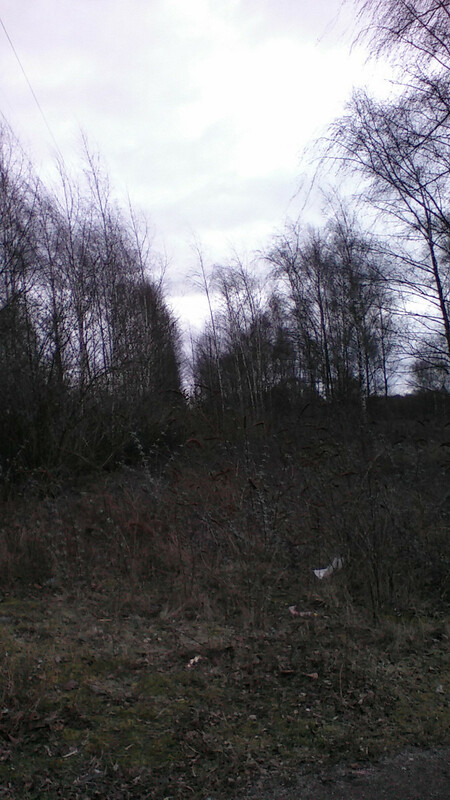 The picture noise is just slightly visible with the maximum display brightness. It is easily visible at 50% (see the lines of the background picture). The South Korean manufacturer uses a curved display for the LG G Flex with the Plastic-OLED technology (POLED), which was developed for this scenario. It also has so called Real RGB pixels with a luminance of 300 nits and a precise color reproduction, at least in theory. The curved surface is also supposed to create an IMAX-like effect in landscape mode where all areas of the panel have the same distance to the eye. 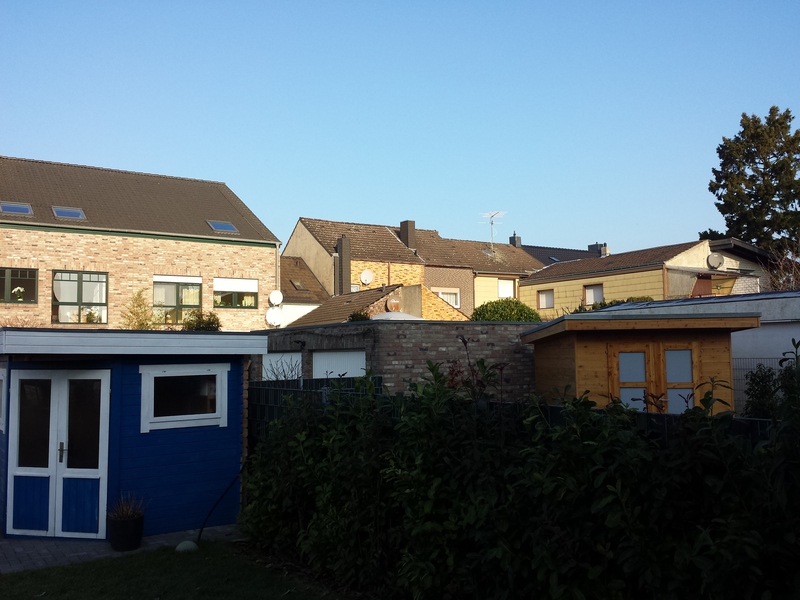 A comparison with a flat smartphone really shows this effect. 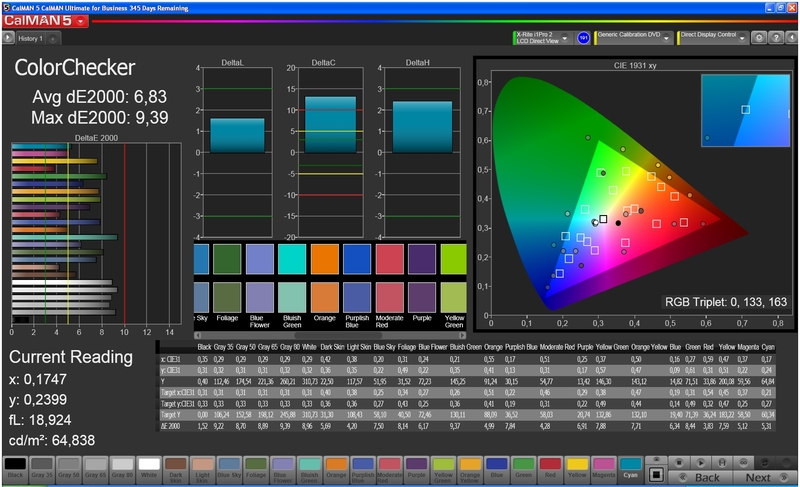 The screen has 720x1280 pixels with a 16:9 screen ratio and a pixel density of 245 ppi. 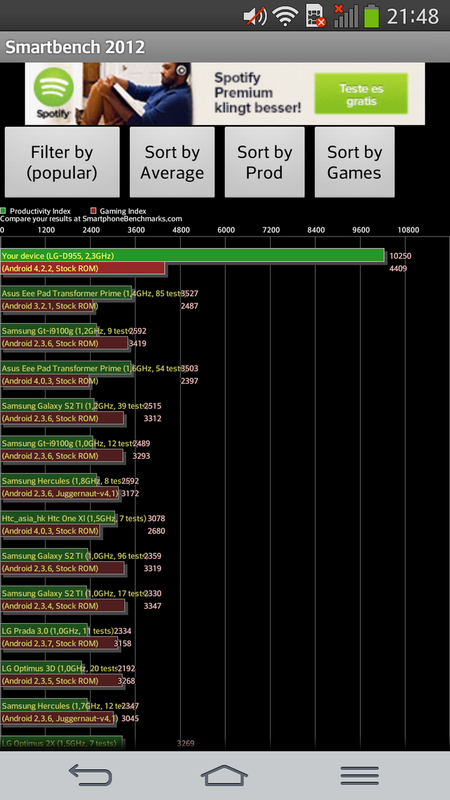 This is not enough when you consider that the G Flex is a high-end phablet. We would have expected at least 1080x1920 pixels (Full HD). Our measurements confirm the promised brightness with an average luminance of around 311 cd/m², which is actually slightly higher than the advertised 300 nits. The brightness distribution is on an excellent level with 96 percent. 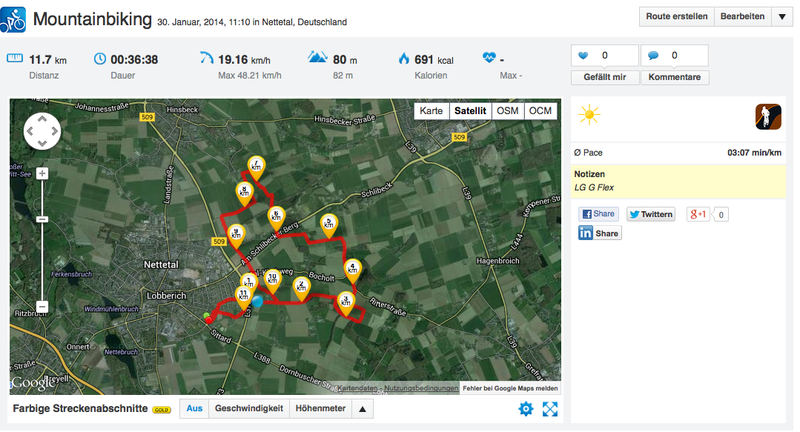 Great results, but it seems that the new technology still has some bugs. There is always some picture noise, it is hard to see with the maximum display brightness, but the effect is stronger as soon as you reduce the brightness. 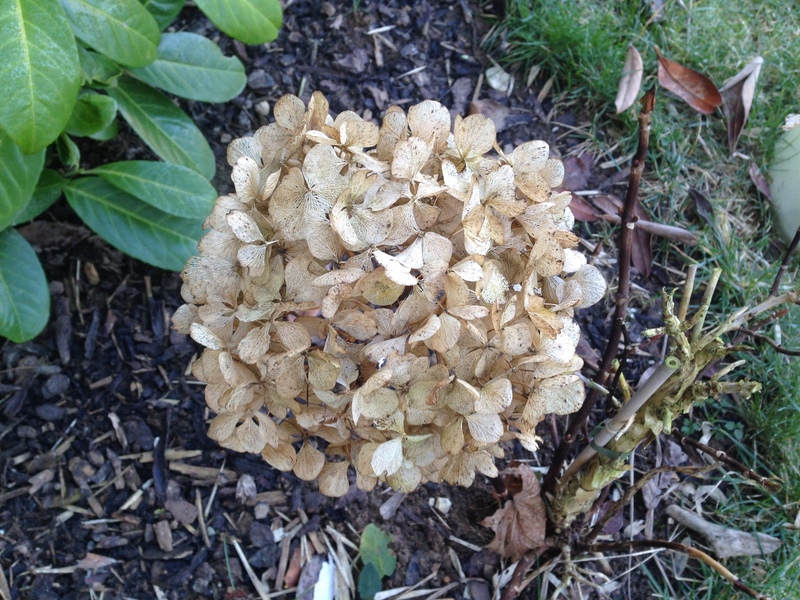 There is also an occasional shadow effect when the picture changes. Parts of the formerly displayed content are still visible and only disappear slowly. Both issues really affect the good impression and this must not happen in this price range. Especially the pre-production unit was affected, but we could not notice the shadow effect on the retail device. The picture noise on the other hand is still an issue. 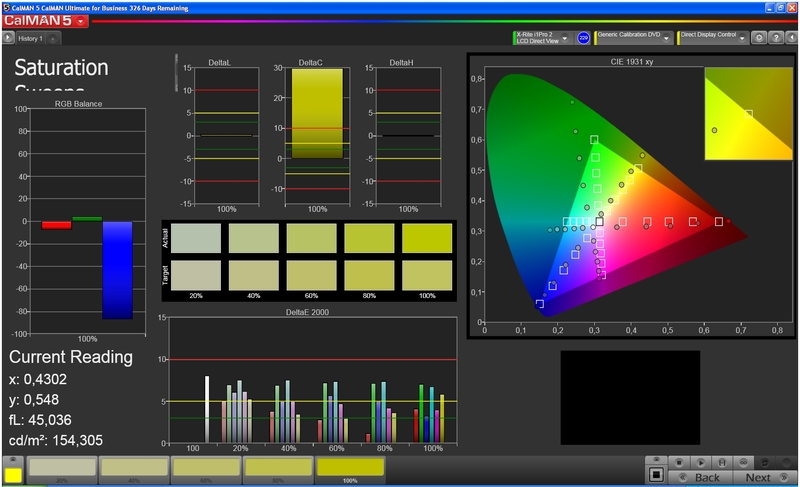 Luminance and brightness distribution are identical for both devices. Black is really black. Thanks to the OLED technology, you get a black value of 0.0 cd/m² and therefore an infinite contrast ratio. It does not get any better; we cannot see a difference between a plain black background and a deactivated display. We cannot confirm the advertised color accuracy of the Real RGB pixels. Colors are very rich and strong as it is typical for OLEDs, but none of the three available color profiles of the LG G Flex result in an accurate color reproduction. 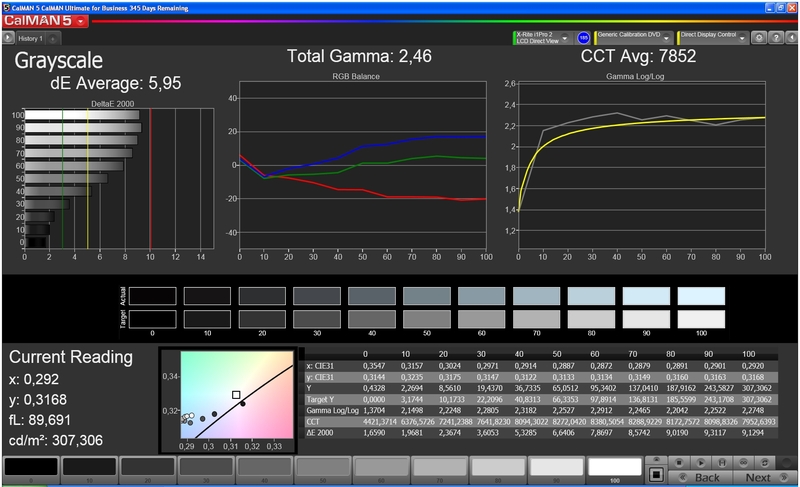 The ColorChecker shows the best result for the normal profile (dE 5) and the grayscale appears most natural with the standard setting (dE 5.7). Both the Lumia 1520 (grayscale dE 2) and the Galaxy Note 3 (grayscale dE 3.7) are much better in this regard, but this should not be a problem for most users. The distinct blue cast of the panel creates a very cool picture. The results differ slightly with the retail unit, but unfortunately not for the better. ColorChecker is slightly improved (dE 4.8), but the grayscale presentation (dE 6.1) is worse in return and the blue cast is still an issue. The LG G Flex works pretty well outdoors, the combination of the rich contrast and the high luminance enable a good visibility of the content even in bright environments. 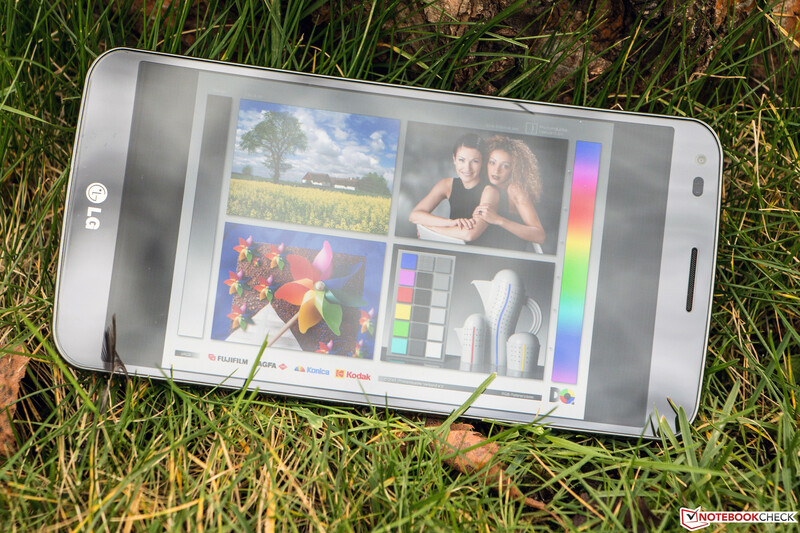 The display surface does create reflections, but this is only a problem under direct sunlight. The brightness sensor works fast and quickly adjusts the brightness of the panel. ... but the visibility outdoors is otherwise good. The POLED technology guarantees high viewing angle stability, even extreme viewing angles do not affect the visibility. We can however see a slightly reduced brightness with angles of 20 degrees and the blue cast gets stronger. 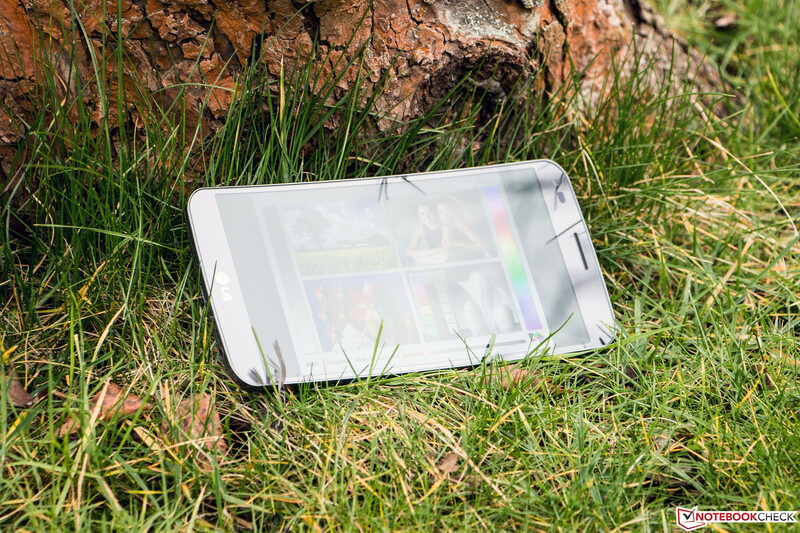 The glossy surface can also affect the viewing angle stability in very bright environments. The LG G Flex is equipped with the fastest SoC currently available for Android smartphones, which is also used for all other high-end devices at the moment. 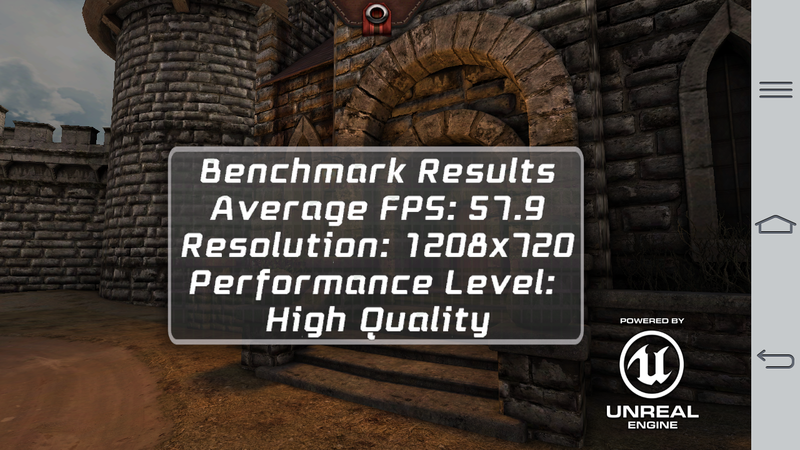 Qualcomm's Snapdragon 800 processor in our review unit runs at 2.26 GHz and has four cores. It is supported by 2 GB memory and graphics are handled by the integrated Qualcomm Adreno 330. The direct rivals use the same SoC, but the clock can differ by a few MHz. 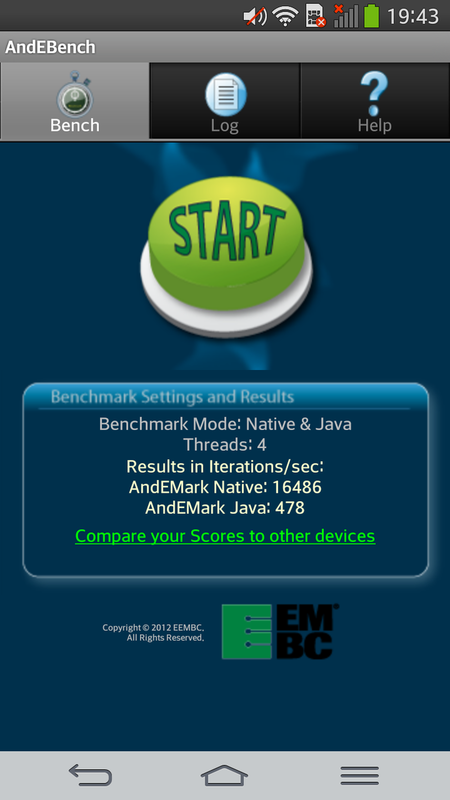 The processor manages convincing benchmark results and the LG G Flex can set new database records in AnTuTu v4 (34,970 points) as well as Linpack multithread (1,095 MFLOPS). Even the slightly higher clocked Samsung Galaxy Note 3 (31,725 points, 986 MFLOPS) cannot keep up, but all rivals are a bit faster in Geekbench 3. 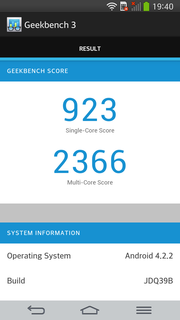 The performance is still on the expected high level and there should not be any performance problems with the Snapdragon 800 in the near future. 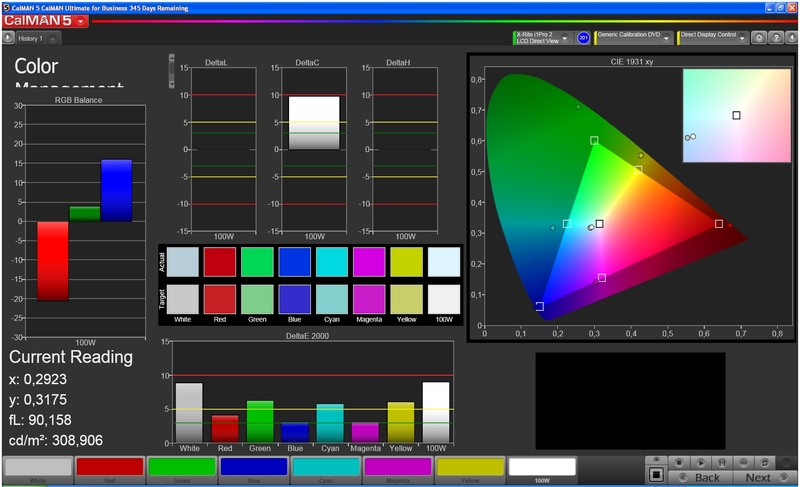 It is a similar situation with the Adreno 330 graphics. 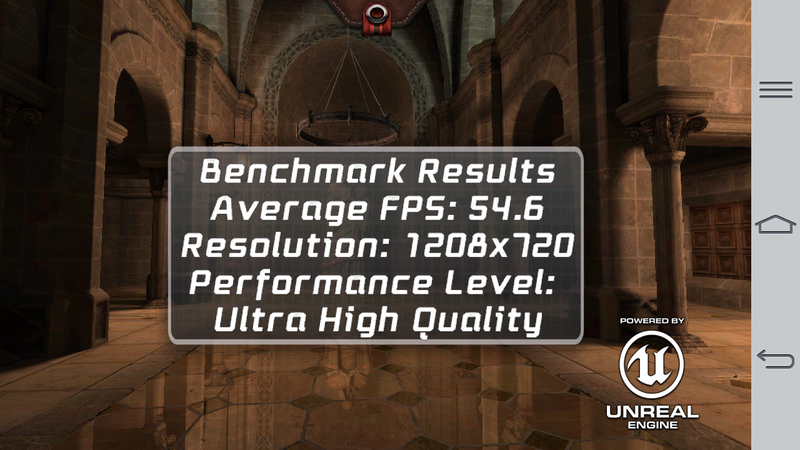 The fast GPU lives up to the expectations and is on the same level with the rivals in terms of performance. 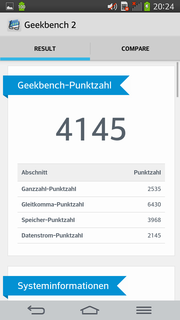 The GFXBench 2.7 Offscreen test result is slightly behind the Android competition. 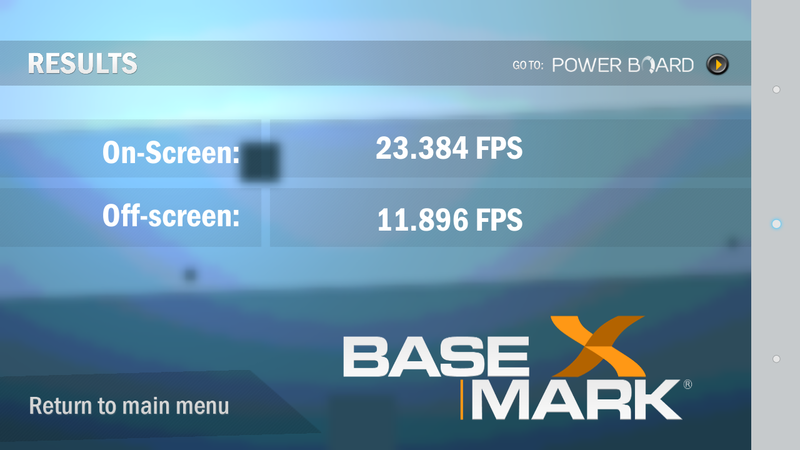 The higher Onscreen value is a result of the lower display resolution; all other phablets have a 1080p display. 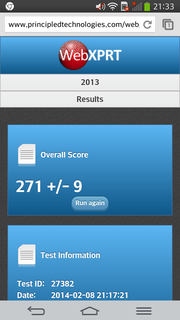 The browser performance of the LG G Flex is slower than some competitors, despite the fast Google Chrome 32. 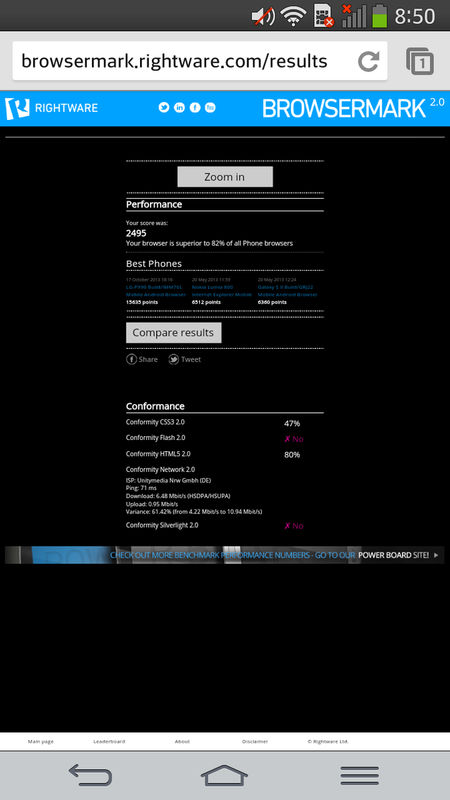 Especially Peacekeeper and Sunspider 1.0 show an advantage of up to 26 percent for the Acer Liquid S2 and Sony Xperia Z Ultra. This difference is however not perceptible in practice. The review unit shows very good performance and does not cause any criticism. The LG G Flex has 32 GB flash storage and you can use around 23 GB of that after the initial set-up. It is unfortunately not expandable, which is especially a problem because of the Ultra HD camera since the high-resolution videos occupy a lot of space. The performance of the integrated storage is at a high level, especially the reading performance of small data blocks (4k). 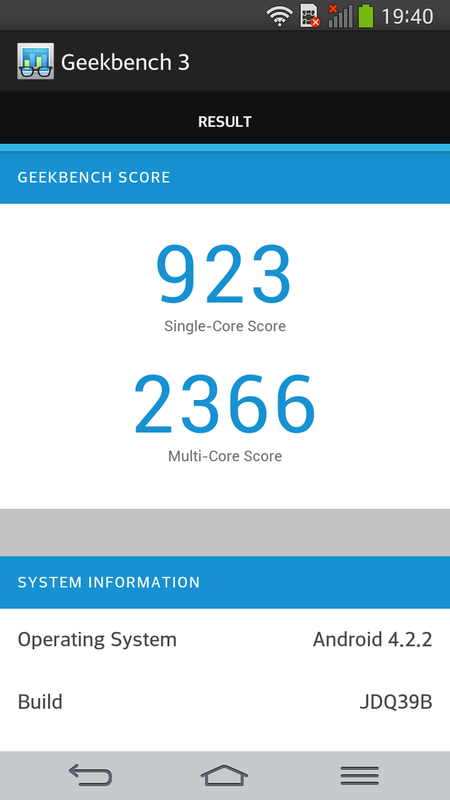 It is on the same level with the Galaxy Note 3, but the review unit cannot keep up with the performance champion in regard to the writing of data; Samsung's phablet is up to 60 percent faster. 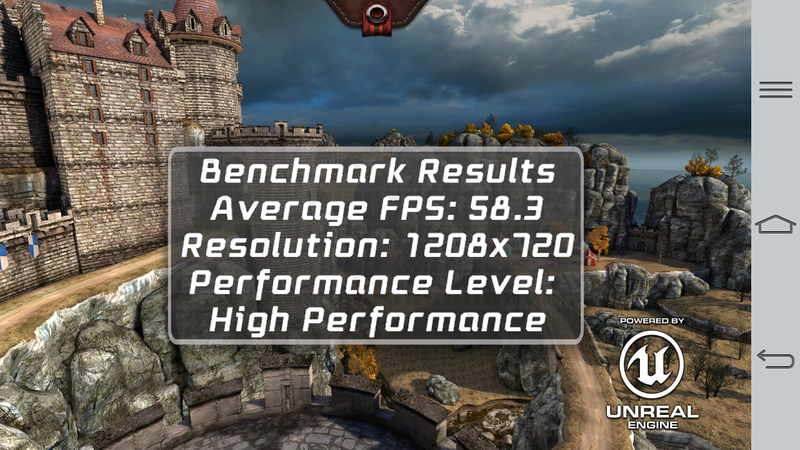 Qualcomm's Adreno 330 inside the LG G Flex does provide a lot of GPU performance and is well prepared for the future. 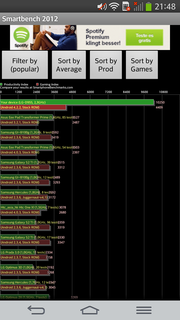 There is currently no game in the Google Play Store that could really bring the GPU to its limits. The reserves are even slightly larger compared to the rivals because of the comparatively low display resolution, which is supported by the benchmarks in the performance section. The excellent touchscreen and the accurate sensors ensure a very good gaming experience. 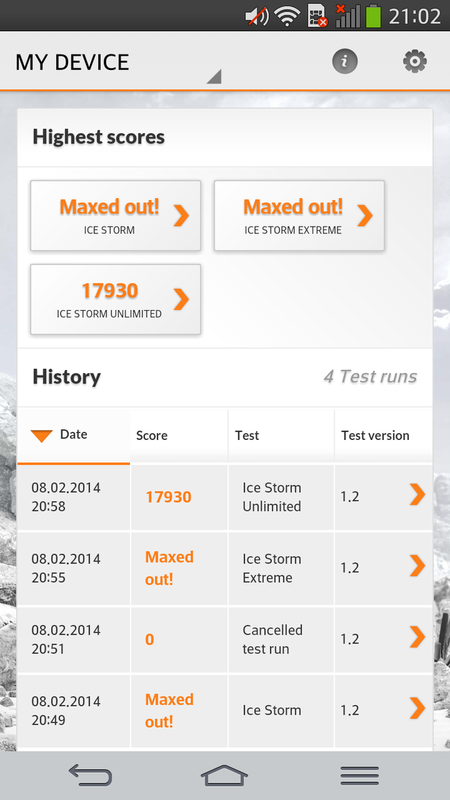 The LG G Flex is comparatively cool during idle with a maximum surface temperature of 26.8 °C (80.24 °F). 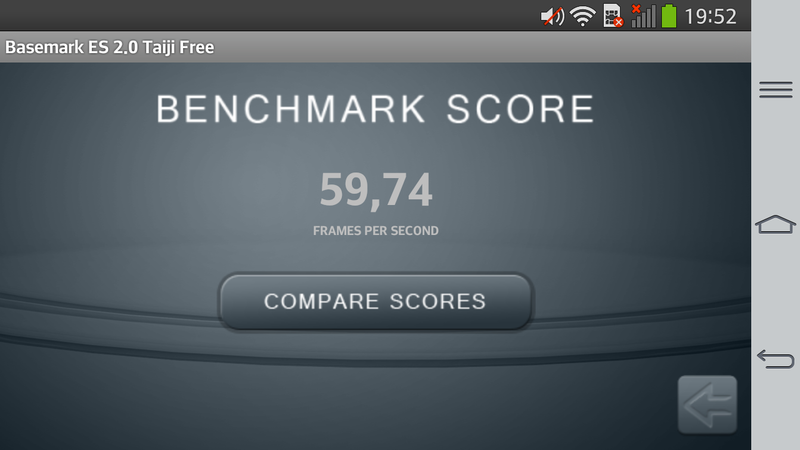 It is therefore the coolest phablet within the comparison. The hottest device during idle is the Acer Liquid S2 with more than 35 °C (95 °F). We used the app Stability Test to stress the device for more than two hours and to determine the maximum surface temperatures. 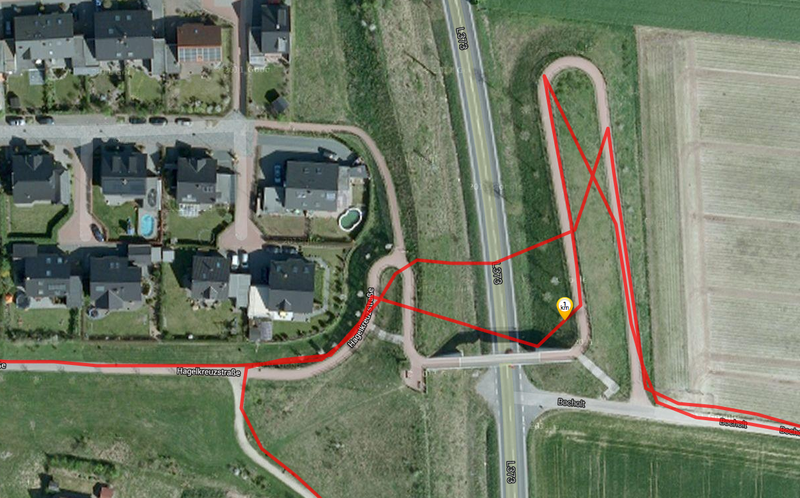 We measured up to 40.2 °C (104.36 °F) in this scenario, only the Galaxy Note 3 (up to 39 °C: 102.2 °F) is a bit cooler. 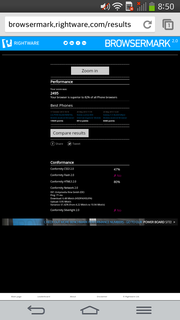 Nokia's Lumia 1520 even reaches up to 49 °C (120.2 °F). However, these are impractical values that are not very important in practice. The LG G Flex has one speaker at the back and the sound quality is average. It can be very loud and does not distort, either. High tones are very clear, but medium tones are hardly existent and the bass is very weak. You get the best result when you put the device on a table because the sound is a bit richer. The provided headphones are better suited for music playback and should meet most demands. Music playback is actually a strong suit of the Flex since LG equips the phablet with an audio processor that promises real Hi-Fi sound. 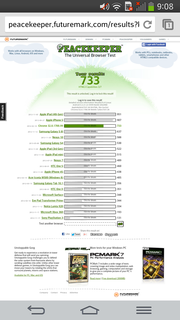 It supports audio files in 24-bit and 192 kHz. You obviously need the related files to enjoy the full sound experience. The device even supports FLAC files, so it is also an interesting companion for sound enthusiasts. 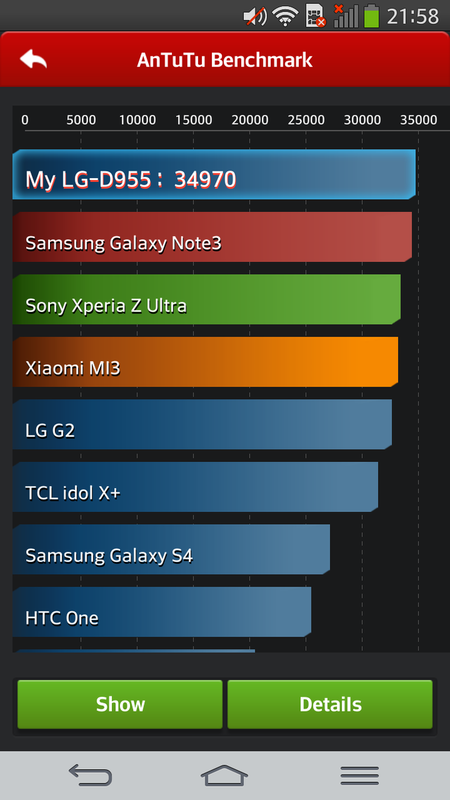 The power consumption of the LG G Flex is between 1.4 and 1.9 Watts during idle and therefore pretty good compared to the rivals. 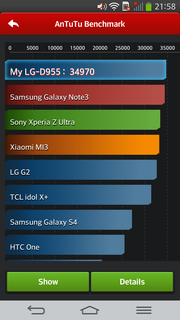 Only the Galaxy Note 3 (0.4 – 1.4 W) consumes less energy. It is also equipped with a frugal OLED screen. The consumption rises up to 8.5 Watts under load, which is a comparatively high value and it is not only a result of the display. All competitors stay below 7 Watts. The power supply unit does not have a lot of headroom with 9 Watts (5 V, 1.8 A), but it is sufficient. The power consumption in standby (0.1 Watts), and when the device is turned off (0.0 Watts), on the other hand, is exemplary. 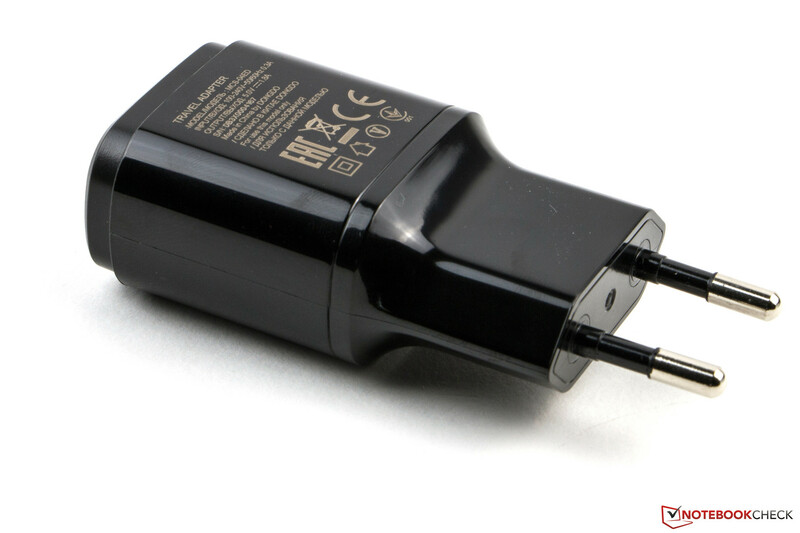 The battery of the LG G Flex has a large capacity of 3,500 mAh and provides very good battery runtimes for the phablet. 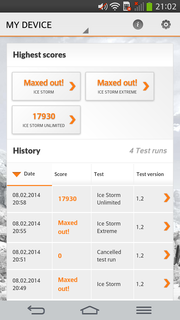 We determined the maximum battery runtime of the device with the minimum display brightness and activated WLAN. The device ran a browser script that simulates reading of a document. It managed more than 18 hours before we had to attach the PSU. 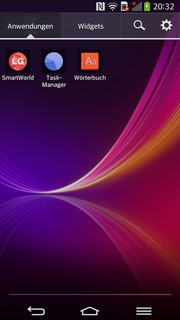 The other extreme scenario determines the minimum runtime with the maximum display brightness, all wireless connections and the app Stability Test to stress the processor and the GPU. The curved smartphone managed an excellent result of more than five hours. 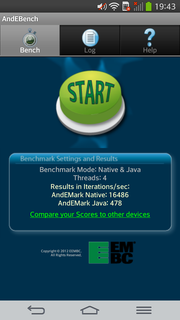 A more practical scenario is the WLAN test with an adjusted brightness of 150 cd/m² and activated WLAN while the smartphone runs a browser script that refreshes a website every 40 seconds. The Flex once again managed a convincing result of almost 17 hours. 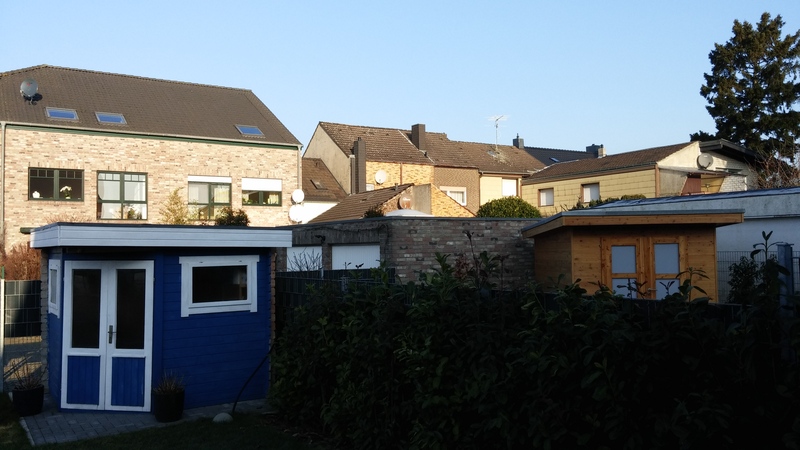 Only the video playback is rather average where the Lumia 1520 manages more than twice the runtime. All in all the Flex is a very enduring smartphone and should easily last a full day. 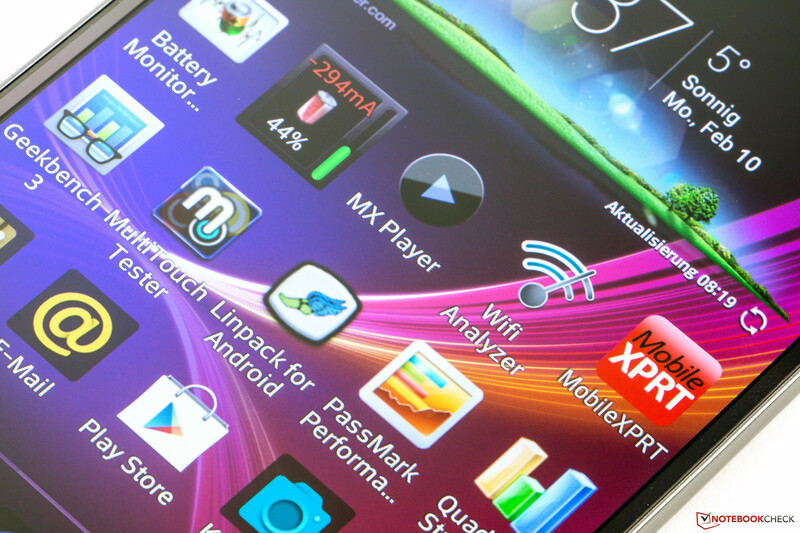 In review: LG G Flex. Review unit courtesy of LG Germany. The LG G Flex is certainly more than just an interesting study of the South Korean manufacturer. 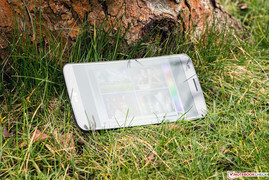 The phablet with a curved display would leave a very good impression if the manufacturer had not made a few mistakes. It is great that you can carry it around in your back pocket without being afraid to sit on it. But why isn't the display protected by scratchproof glass, while the back can even repair itself to a limited extent? The HD display is also not sufficient for the high-end class, and the permanent picture noise, as well as the shadow effects, are other issues of the POLED panel. 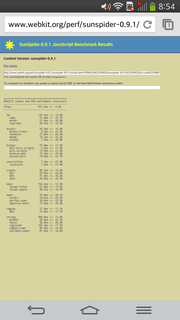 It seems that only the latter was an issue of the formerly reviewed pre-production unit. 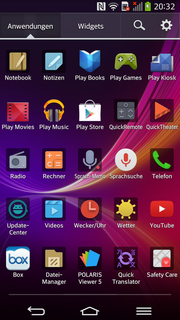 The picture noise is still a visible problem with the retail device, especially with reduced display brightness. The curved shape is quite appealing and a real eye-catcher. The fast processor and the good camera complement the good package. We can also find many features from the LG G2 in the Flex and they really improve the experience. It is handy just to hold the phone against your cheek to accept a call. It is, however, annoying that some settings are reset after every restart. It remains to be seen whether this is also an issue of the pre-production unit. A price of almost 800 Euros (~$1100) is certainly too expensive for the Flex. Other phablets are much cheaper. The review unit also does not have a unique feature except for its curved shape and the associated advantages. This does not justify the additional charge in our opinion, but the G Flex is still a good smartphone. The concept has the potential for a very good rating if the display technology would be free of issues. Even the box has a curved shape. 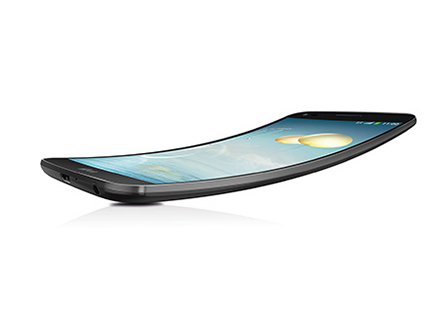 LG's G Flex is the first curved smartphone. It uses a plastic OLED with 1280x720 pixels. 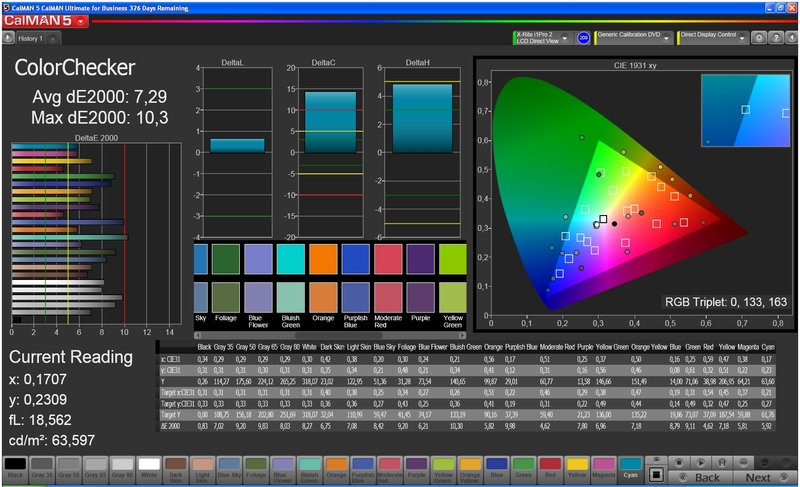 Colors appear very rich and the screen is bright. You can see the end of the coating if you look closely. The Flex requires a micro SIM. Modular PSU provides 9 Watts. 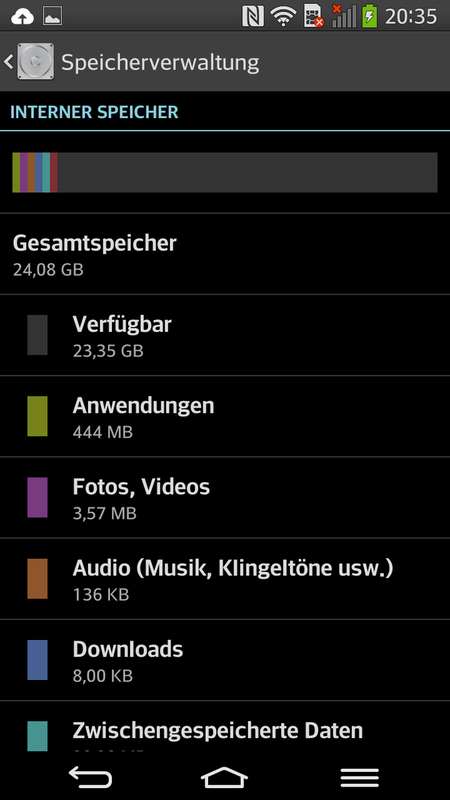 More than 23 GB can be used. The curved shape of the phablet is very appealing. The device is also very sturdy and has a self-healing case. 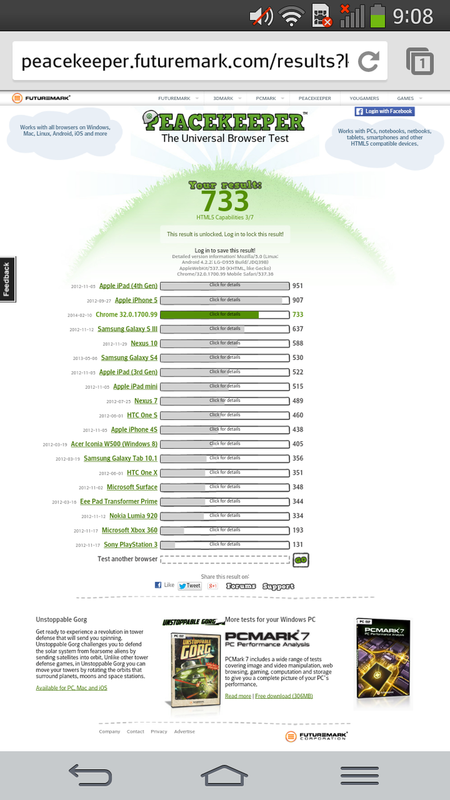 The coverage of HSPA+ and LTE frequencies is pretty meager and we would have expected more from a high-end device. We cannot understand why LG does not integrate a Full HD panel. A high-resolution display would have been a must when you consider the price. Rivals are the Nokia Lumia 1520, Samsung Galaxy Note 3, Sony Xperia Z Ultra, Acer Liquid S2, Acer Fonepad Note 6 and Huawei Ascend Mate.